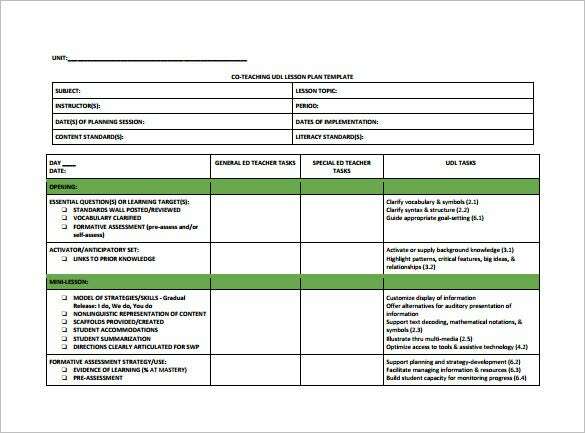 This substitute teacher lesson plan has got the lesson plan parameters noted on the left and the related information is to be mentioned on the right. The parameters include lesson objective, activity instructions, reliable students, important information for the substitute teacher etc. 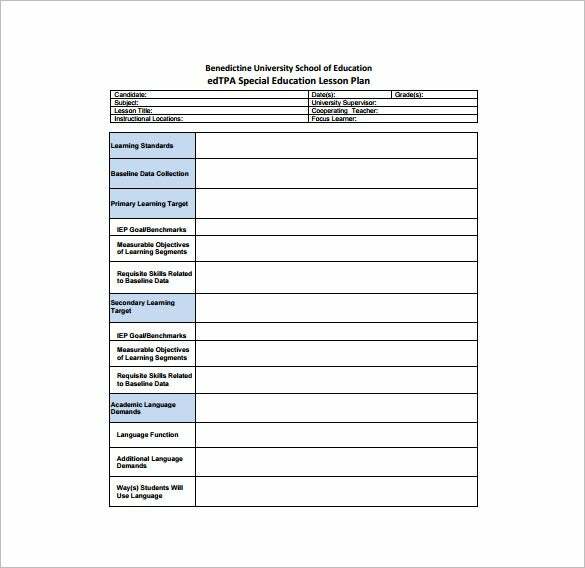 education.unlv.edu | You are getting a standard elementary teachers lesson plan here which includes all the vital parameters such as lesson plan title, the technology and material resources, procedures , student evaluation etc. 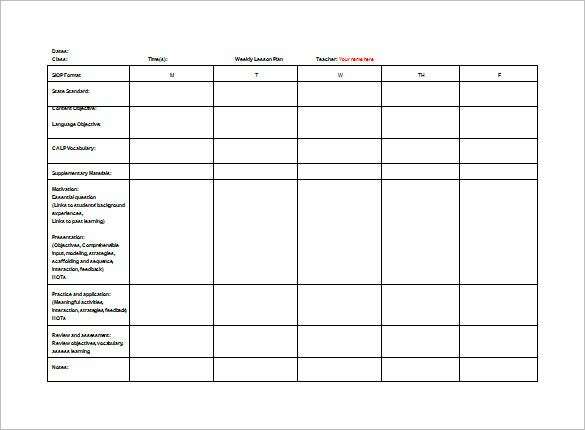 homedaleschools.org | This lesson plan for teachers will help them to chart their entire activity for the whole week. 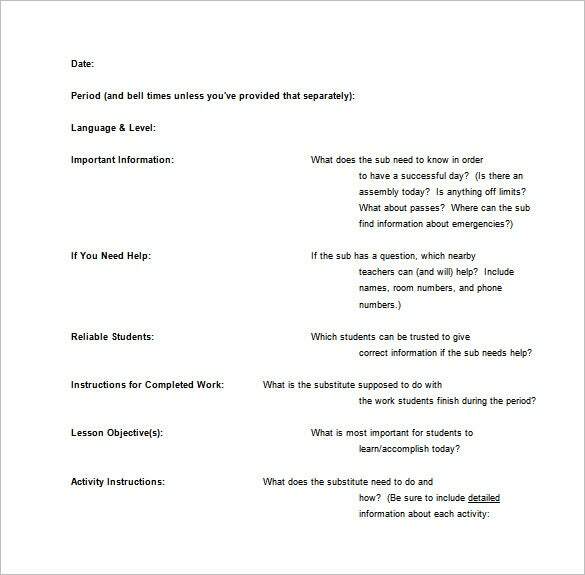 The left side of the plan is about the activities for the teacher while the other columns state what she would be doing under each activity, each day. 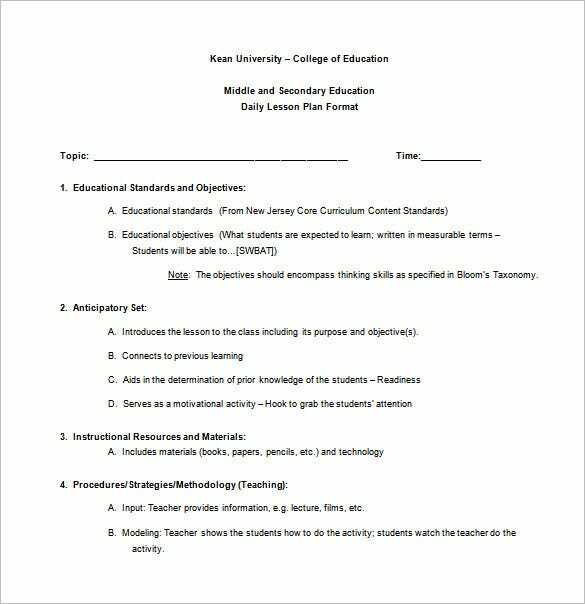 mccc.edu | This is a very neat teacher college lesson plan and it comes up with all the major aspects of a standard lesson plan such as educational standards and objectives, anticipatory set, resources & materials and teaching procedures. eworkshop.on.ca | This is a basic kindergarten teacher lesson plan where you have different boxes for each of the parameters like key concepts of the plan, curriculum expectation, brief description of the task & materials needed. cpsarts.org | This art teacher lesson plan begins with grade level of the class and is followed by other major parameters like lesson name, sample questions, lesson description, pre-requisites to lesson plan and length. 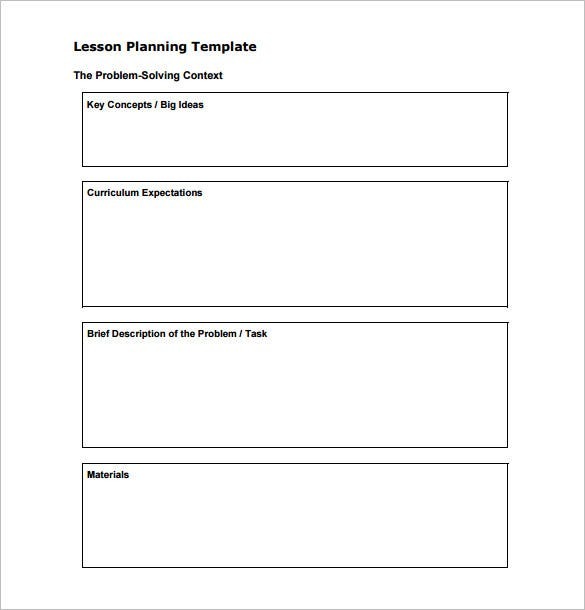 A Lesson Plan Templates is a plan that a teacher makes before delivering a lesson in a class. It is a sketch of what should be taught and in what order things should be taught so that the students learn it right.A teacher lesson plan is designed based on the teacher’s necessity. 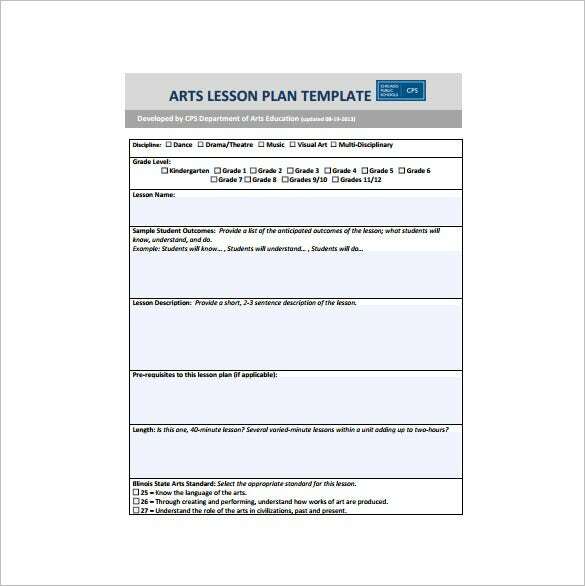 Before you download one of the sample teacher lesson plan templates that we have got for free, you should know what a plan such as that is usually made up of. 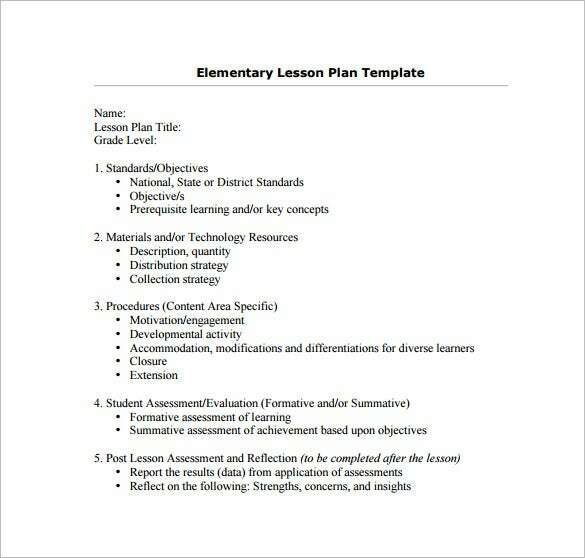 Here are all the components of a teacher lesson plan listed out. If you have any DMCA issues on this post, please contact us!